✻ T u m b l e d S T O N E S ✻ CHAROITE. 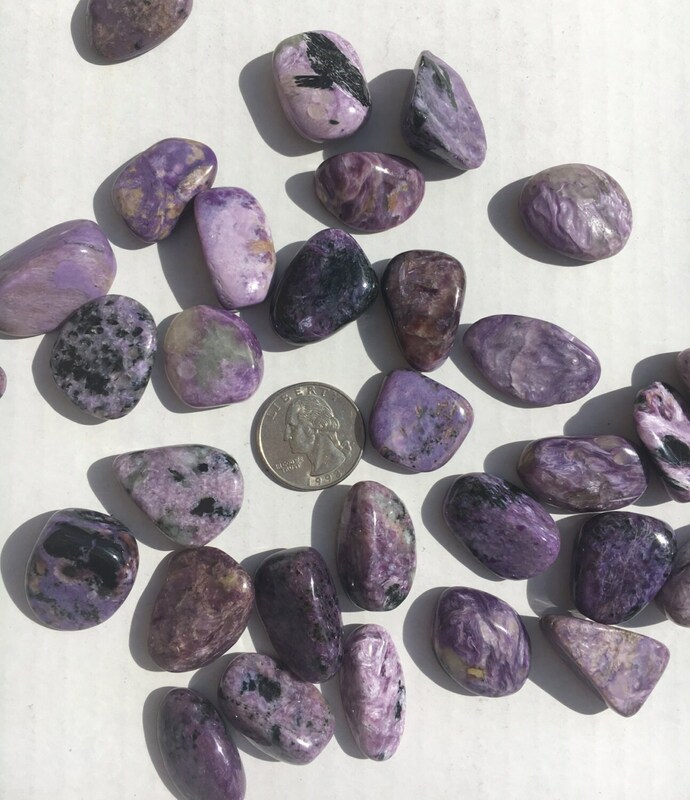 Charoite helps with the purging of inner negativity, and healing. Transformation stone. Stimulates unconditional love. Helps you to accept the present moment as perfect. Heals autism and bipolar disorders. C h a k r a s: 1st (Root), 5th (Throat), 6th (Third Eye), 7th (Crown), 8th (Higher).